Her remark is a reminder of how nice it is to have a few recipes on hand which not only may be made in advance and decrease the necessity for last minute preparations, but are easy in the making besides. 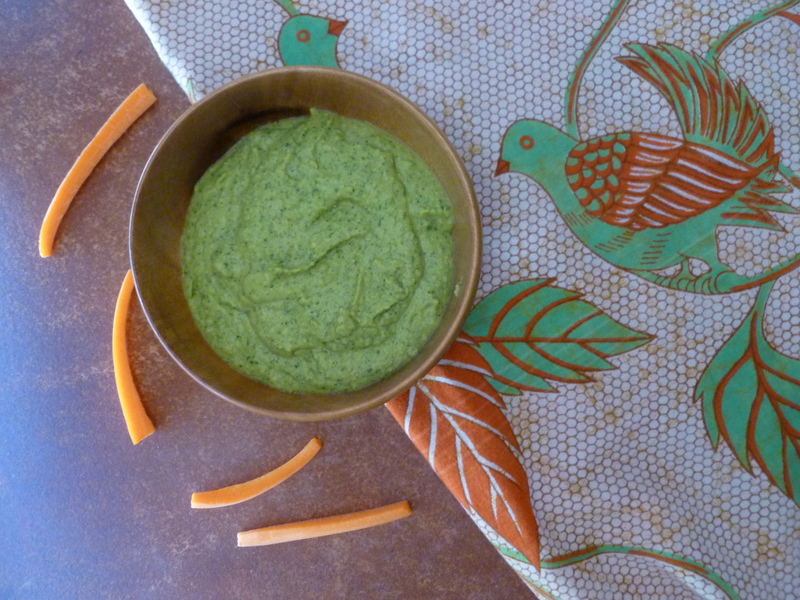 A new contribution to this category is: Serrano Chili and Cilantro Chickpea Dip. Postscript: It’s a fine thing to take along on a picnic, too. 1. 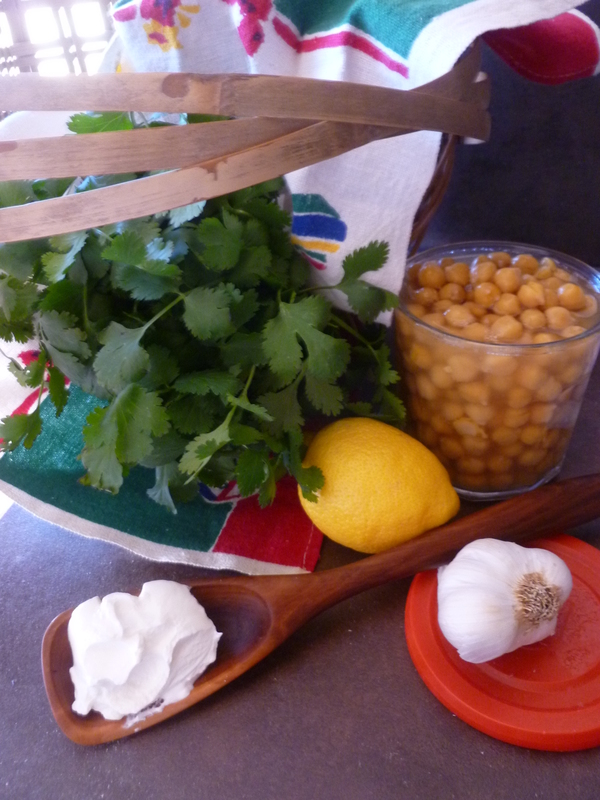 Put the chickpeas, sour cream, cilantro, garlic, lemon juice, chili, and water in the bowl of the processor or blender and mix until smooth. 2. Transfer the dip to a bowl and add the salt. Taste and add more if you think necessary. 3. 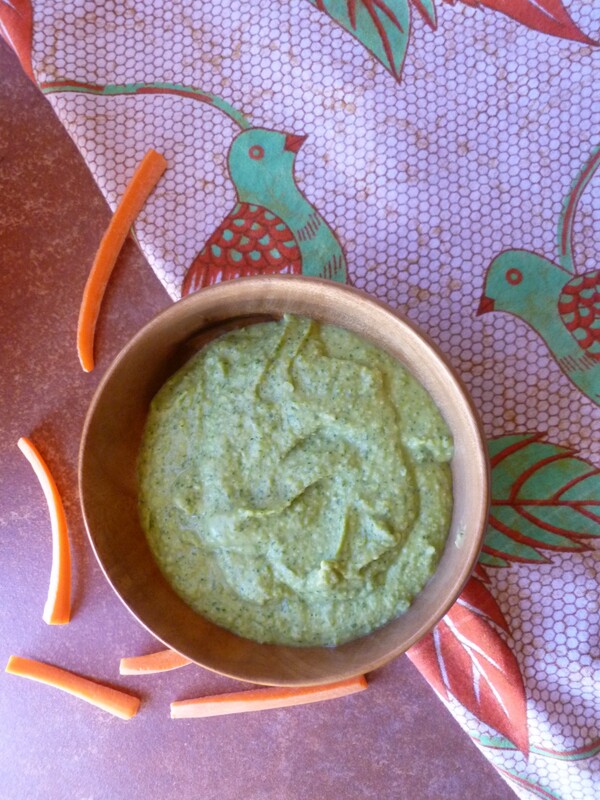 Refrigerate the dip until about an hour before serving. Remove it from the refrigerator to come to room temperature. 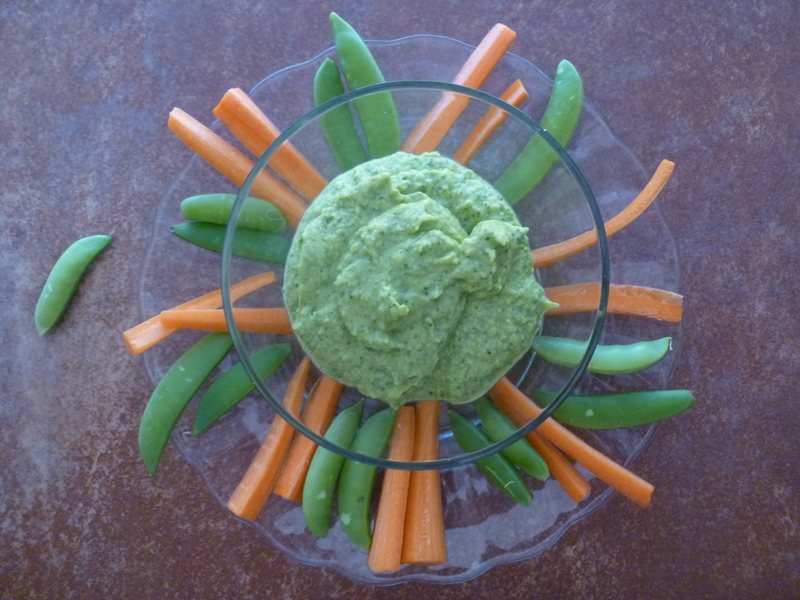 Surround the bowl of dip with some raw vegetables….the suggested ones are carrot sticks and sugar snap peas. 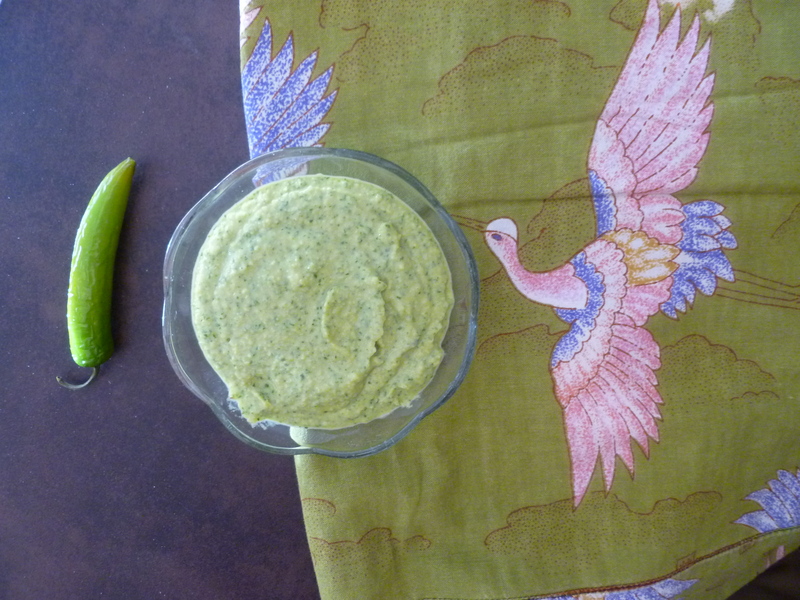 A Note: This dip is served as an hors d’oeuvre in the Lunch Menu: A Lunch with Spice and Many Things Nice. It’s a good addition to a picnic, too.